Fujiwara T, Honaga K, Kawakami M, Nishimoto A, Abe K, Mizuno K, Kodama M, Masakado Y, Tsuji T, Liu M. Modulation of cortical and spinal inhibition with functional recovery of upper extremity motor function among patients with chronic stroke. Restor Neurol Neurosci. 2015; 33:883-894. 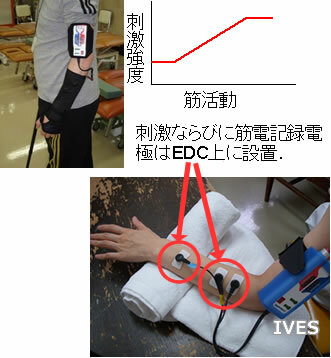 Fujiwara T, Kawakami M, Honaga K, Tochikura M, Abe K. (2017) Hybrid Assistive Neuromuscular Dynamic Stimulation (HANDS) therapy: A new strategy for improving upper extremity function in patients with hemiparesis following stroke. Neural Plast. 2017;2017:2350137. doi: 10.1155/2017/2350137.